It’s not often I have to wait for a train anymore … But apparently the train schedule rarely changes. I’ve waited for this same train nearly 40 years ago on many occasions. 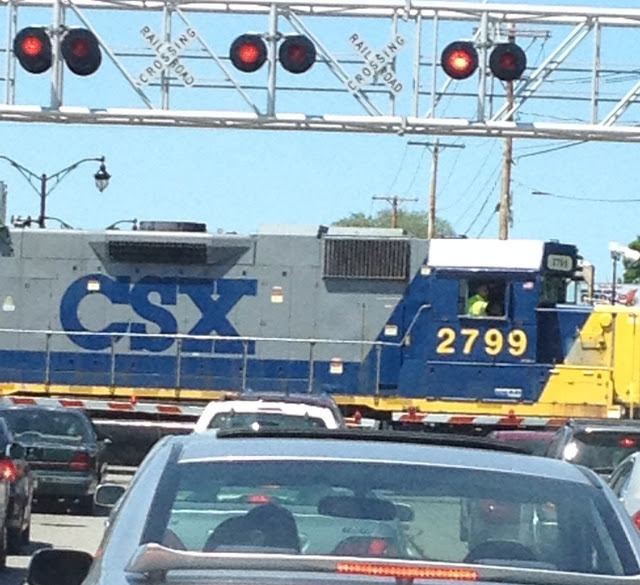 It has always been on a noon schedule and it’s one of those long trains that you wait at least 20 minutes for as it decides which direction it wants to travel in …. Kind of like people and life …. Wondering which track to take and whether or not to travel with our caboose forward!!! No matter what, hop on and enjoy the ride!! In Awe of so much life!